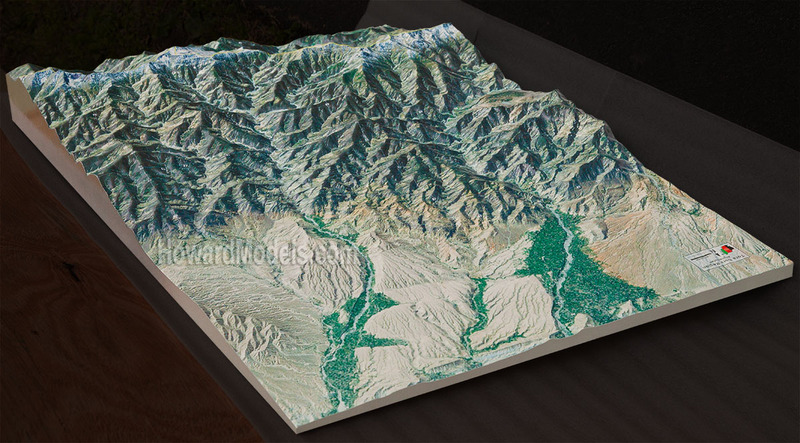 Topographic Model with printed surface. With Aerial / Satellite imagery printed on surface. 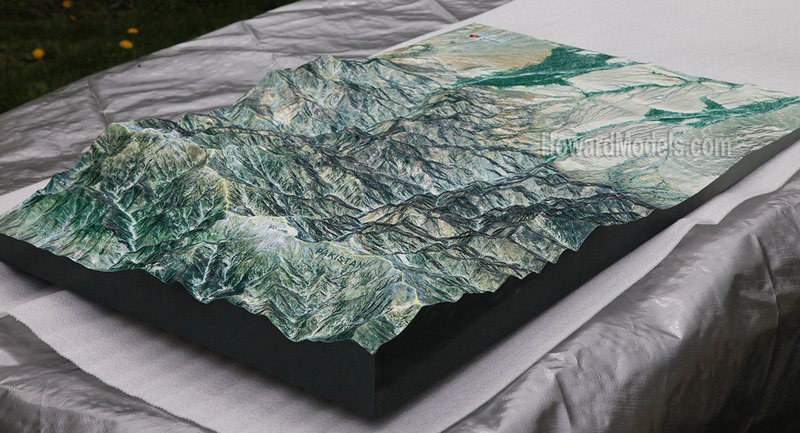 This 24"x36" topographic model was fabricated for use as a prop in a documentary about the hunt for Osama bin Laden. 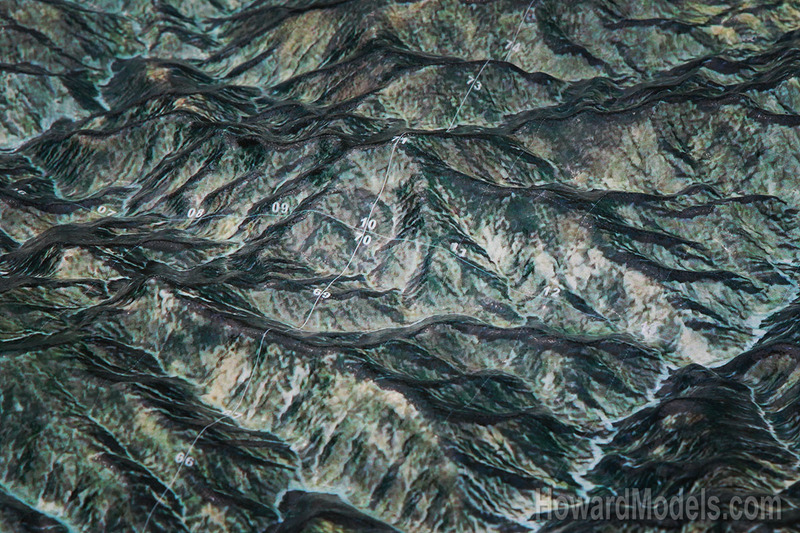 At the time, most of the good aerial photography of this area was unavailable due to it being clasified. Using Genuine Fractals Perfect Resize, the image was enhanced considerably prior to overlaying the MGRS (Military Grid Reference System). Most of our topographic model foam bases are ready to ship in two to three weeks. These CNC milled foam terrain models are the ideal base for both study models and finished presentation models. Loving the gorgeous Tora Bora model. Any chance we could get a mock up of UBL's Abbottabad compound made up? I could probably get you some additional specs to what's commonly avail.